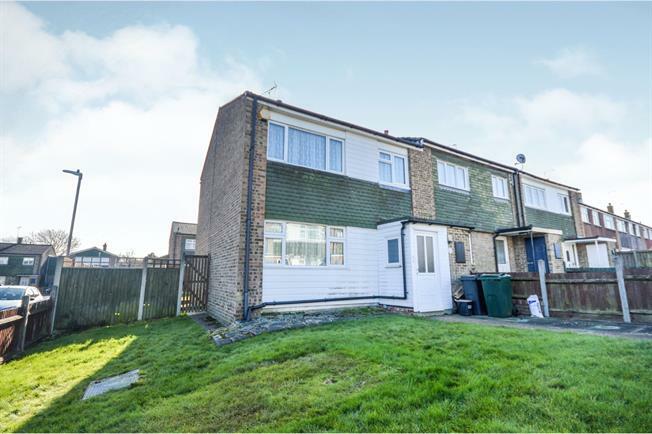 3 Bedroom End of Terrace House For Sale in Ashford for Guide Price £190,000. Guide Price 190,000-210,000. Mann are excited to welcome to the market a rare opportunity to refurbish and or extend your own property. The property currently comprises of a large living room, separate dining room and a kitchen. The upstairs consists of three bedrooms and a family bathroom however the main unique selling plot of this property is that there is a large segment of land to the side which is perfect for a double storey extension. This property is prime for putting your own stamp on however it is currently in a liveable condition. Please contact Mann to arrange your viewing as we already have offers on this property!